Ekiti State residents are excited over the Free Health Mission provided by Dr. Kayode Fayemi led administration, saying it has restored and revived the lost hope of those with serious health challenges in the state. The Ekiti State Governor, Dr. Kayode Fayemi, has expressed optimism that ongoing reform in the Justice Sector embarked upon by his administration will help reorder the society and nip crimes in the bud. 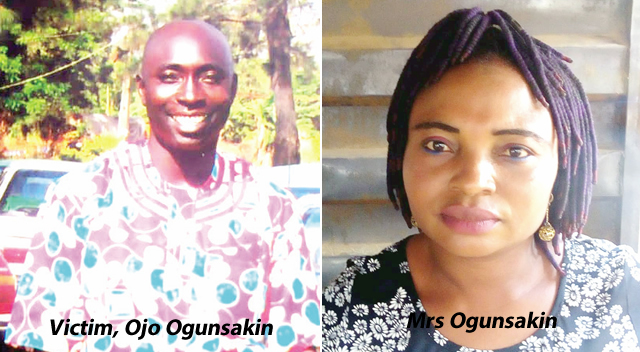 Two years after Ojo Ogunsakin , a 42 -year -old commercial driver in Ado Ekiti, Ekiti State , was murdered by a colleague , the wound still remains fresh in the heart of his widow , Adesola. A visit to her house at the Ajilosun area of the town will testify to this as the once bubbly woman has become an old shadow of herself . Dr Kayode Fayemi has been tasked to, as a matter of urgency ,fast track the implementation of the supreme court judgment on the relocation of the headquarters of Ilejemeje Local Government from Iye-Ekiti to Eda Oniyo.